Vixx's Subtle Obsession in "Scentist"
Vixx are the Kings of Concepts, let’s just get that out of the way. This is uncontested and will continue to be uncontested. Their body of work supports this, with their numerous concepts including superheroes, video games, vampires on the moon, Jekyll and Hyde, voodoo dolls, cyborgs, and Greek mythology. The group returns with “Scentist,” their first comeback as a full group since 2017’s “Shangri-La.” According to the members, “Scentist” is a combination of the words ‘scent’ and ‘artist.’ The title track off of their third full album, Eau de Vixx, ostensibly has the concept of the six members being perfumers. 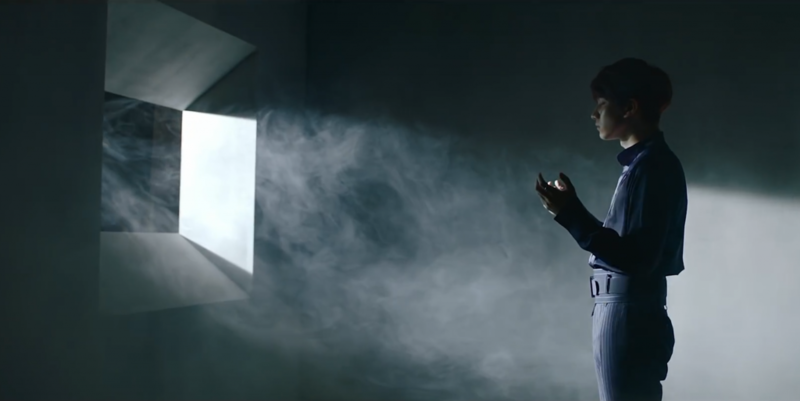 This concept is seen throughout the music video, with multiple shots of the members in some sort of laboratory setting where they presumably make perfume. 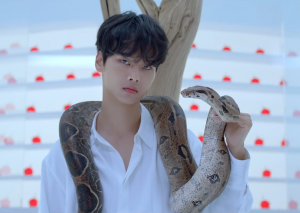 N is seen on the top of the steps in a dark room as light passes by his body, with the most striking shots being him with a boa constrictor hanging around his neck. Leo is being his usual rude self, with him continuing his trend of playing the piano, with the “Scentist” piano having various sorts of liquids attached and flower petals on the keyboard. 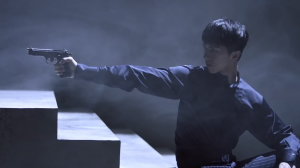 Ken has another memorable shot, with him raising a gun and aiming it at someone – is it the kid, or another member? Ken is probably the member with a myriad of shots that alludes to some sort of overarching story. Ravi has a visually stunning series of shots of him with colored gas, undoubtedly being a representation of some sort of perfume, giving me Get Backers flashbacks. For those curious, there is a female character who uses poisonous perfume as her weapon. Hongbin is mostly seen in the laboratory setting, making the perfumes. Finally, there is Hyuk – who let him back behind the wheel after his “The Closer” car incident? Jokes aside, he is seen in the same dark room, with light and darkness passing across his face and body. Vixx music videos are rarely as straightforward as they seem, with the notable exceptions being “Love Equation” and their first two music videos from 2012. The only way this music video, with its symbolism that tells the story, makes sense is if it is loosely inspired by the German novel, Perfume: The Story of a Murderer, by Patrick Suskind, which was adapted into a movie by the same name in 2006. Perfume revolved around Jean-Baptiste Grenouille, an orphan who was born with an amazing sense of smell, being able to distinguish scents from one another. He becomes a perfumer, and also a serial killer as he practices to preserve the slain teenage girl’s scent; however, he always made sure that they were unmolested – all he needed was their scent. This was in preparation for what he saw as the ultimate scent emitting from Laure Richis, who is ultimately killed and her scent harnessed. The lyrics also tell this story, albeit in a more subtle manner. It tells a story of obsession over the scent of another person. 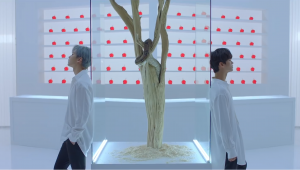 The lyrics open with some lines to frame the scene: “One red petal, one young leaf, quantification of fantasy…Icy Moonlight, cloudy eyes, eager whisper, unmistakable formula.” A prominent theme used in the song is that of flowers and petals, with Hongbin’s first line referring to taking the “tears of petals” in a “sweet experiment,” which is the reason why these are also seen in the music video: on Leo’s piano and being mixed in (or “seeped in” as the song puts it) the waters. The lyrics are laid out so that it builds and builds, from introducing the “sweet experiment” to the revelation that they basically killed the person so that nobody else could experience that scent. It should also be noted that the members are seen in three distinct locations: the dark room with a distant light source, a sand-covered floor with the car where they do their dance, and the stark white laboratory. Taken into context, the symbolism behind the locations are easy to figure out. The dark room is where the darkest parts of the members reside, thus them being in vulnerable positions, and where Ken is offered the gun and takes it. Meanwhile, the stark white laboratory with various chemistry equipment is different because of its sterility. The only color that stands out is red, the color of anger, passion, and blood. It is the color of the various liquids and various equipment on the wall – equipment such as saws, scissors, and pliers, the weapons used for the murder. Additionally, there is a glass cage with a snake in a tree. Snakes evoke different kinds of meanings in different cultures – some see them as a symbol of nature, of vindictiveness, of medicine. In Christianity, the most famous snake is the one that deceives Eve into eating the forbidden fruit. Any of these could work in the situation if twisted one way or another, but I would prefer to go with the one of luring an innocent into something forbidden. This would fit into the inspiration source – Grenouille would lure his victims and then murder them (an illegal act) to take their scent. Song-wise, it stands out for two reasons: the use of lower registers and the better line distribution. Hyuk has steadily been getting more and more lines, but Hongbin is finally getting his due. This could be because of the song using the lower register, allowing more of VIXX to sing in a range they are comfortable in. Another advantage of this approach is that it lends an eerie vibe to the song, a vibe that is played up well in the music video. In the years since their debut in 2012, they have continually evolved, not just in concept but also in aesthetic and sound. Gone are the days where Vixx music videos revolve around telling their concept in some sort of quasi-narrative form (see: anything from 2013-2014). Since “Chained Up,” they have relied less on straightforward storytelling and have turned to subtle symbolism. 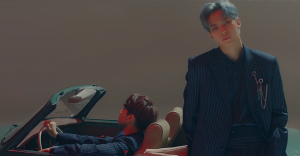 While yes, the Conception Trilogy (“Dynamite,” “Fantasy,” and “The Closer“) was a semi-return to the storytelling that Vixx did to underline their concept, “Scentist” is not a follow up that kind of music video. Instead, it is more like “Shangri-La” — no clear story, unless if one takes the time to read the lyrics and interpret the symbols in the music video. While I, an ardent Starlight, will happily do so, I understand if some more casual fans are less inclined to do so. In the grand scheme of things, I applaud Vixx for continually evolving and maturing with their age and various experiences. Considering the trajectory they have been on, it shouldn’t have been that surprising that Vixx would turn to subtlety and sleekness over beating us over the head with the concept of perfumers. That being said, the music video itself, like “Shangri-La,” is so aesthetically pleasing and with just enough visual cues that someone can watch it with an understanding that goes from vague to clear, and enjoy it as it is.